Colour makes everything better—the pastels of flowers in Spring, the golden hues of leaves in the Fall, the absolute rainbow of ice cream flavours on Sunday afternoons. And you know what else gets better with colour? Packaging. Hands down, if you want to catch a customer’s eye and keep their attention, colourful packaging will do it every time. You know how much we love packaging (boxes and mailers and tape, oh my! ), and since we love colour just as much, we’d like to share with you our favourite blends of the two. If you want to stand out in the sea of kraft, and brand your products in one of the most effective ways possible, you’ll love using these colourful packaging options. They call a box ‘the brown cube’ for a reason. It does its job, and it does it well, but it doesn’t really stand out. Sure, using an e-commerce box or a cut out wrap is a step up, but it still won’t hold attention spans for long. But, throw in unexpected box dimensions and some stunning, vibrant colour? You’ve got yourself an attention-grabbing custom box—one that your customers (and envious on-lookers!) won’t be able to put down anytime soon. Make sure you check out Front Lock Mailers, they’re our favourite! Whether you’ve kept your kraft boxes, or taken the plunge into the world of Front Lock Mailers and box colours (both inside and out! ), you’ll need something to seal it all up with. That’s where coloured tape fits the job perfectly. 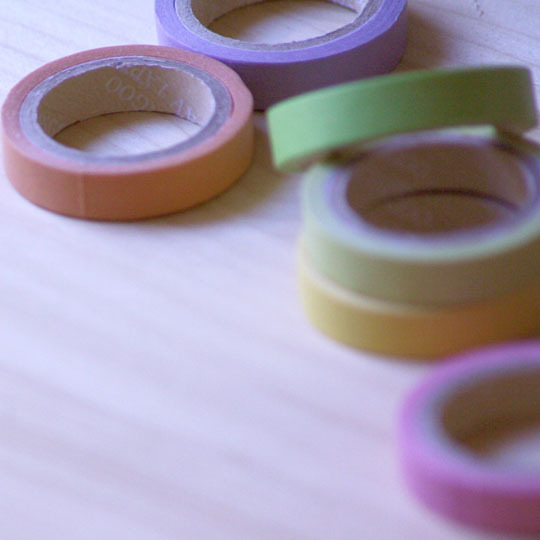 These days, you can find tapes of all types and sizes covered in bright colours or even interesting patterns. And if you’re really into showing off, using custom tape with your logo will really set you apart. 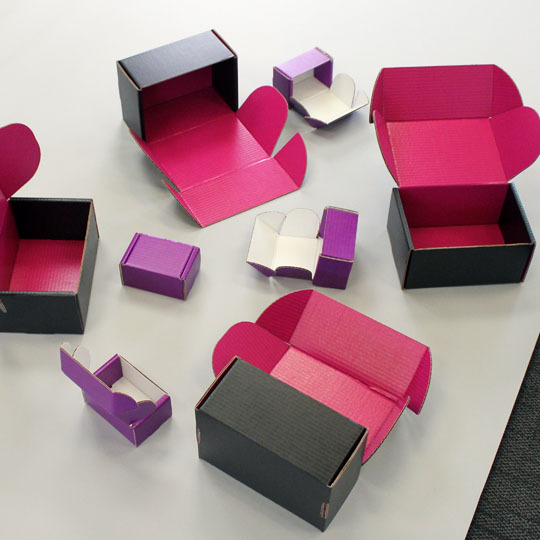 Do it right, and your boxes may not need any more outward branding than that! Bubble mailers have really found their place in the e-commerce world. Their compact, lightweight nature makes them ideal for shipping items that don’t need a box. But, you’re often limited to a white or kraft colour. 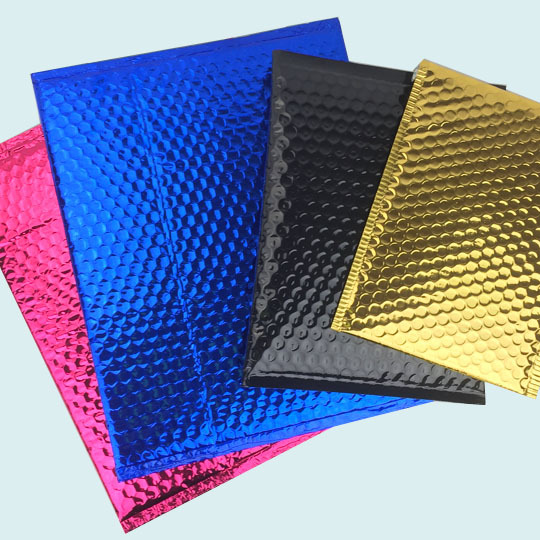 Glamour mailers sidestep that limitation in the most wondrous and stunning way, offering a near-rainbow of colours in shiny, reflective foil. 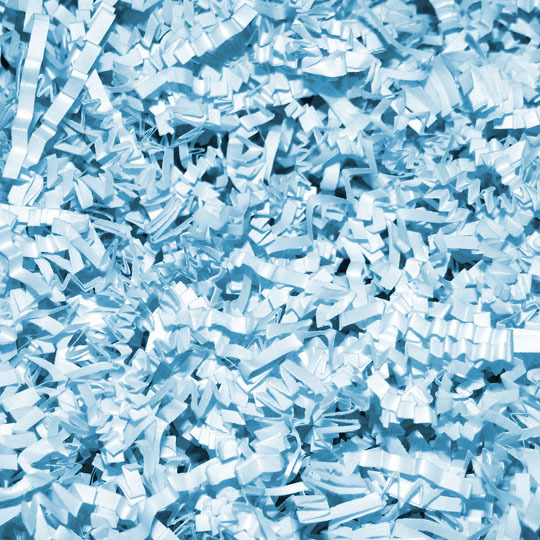 Even if your customer receives a stack of purchases in bubble mailers—that silver, gold or electric blue glamour mailer from you will stand way out! Once the outside of your shipment is stunning—make the inside pop, too! Bubble Wrap® IB Expressions takes everyone’s favourite void fill and turns it into one of the most visually interesting packaging options you’ll ever have. 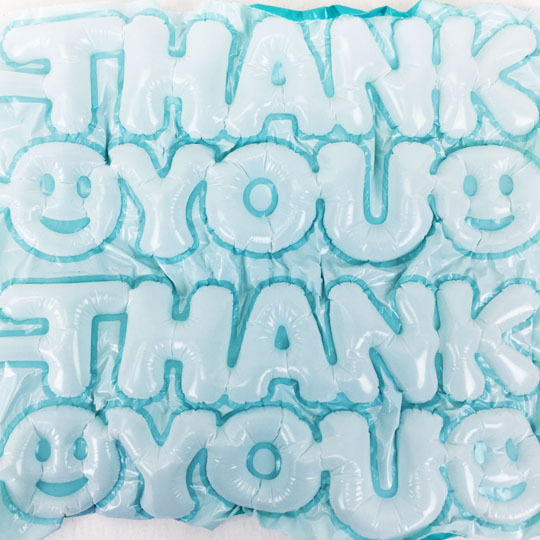 Wrap your products in rows of bubble shapes like hearts, dog bones, or thank yous and smiley faces. They even come in multiple, unexpected colours like white, red and teal. 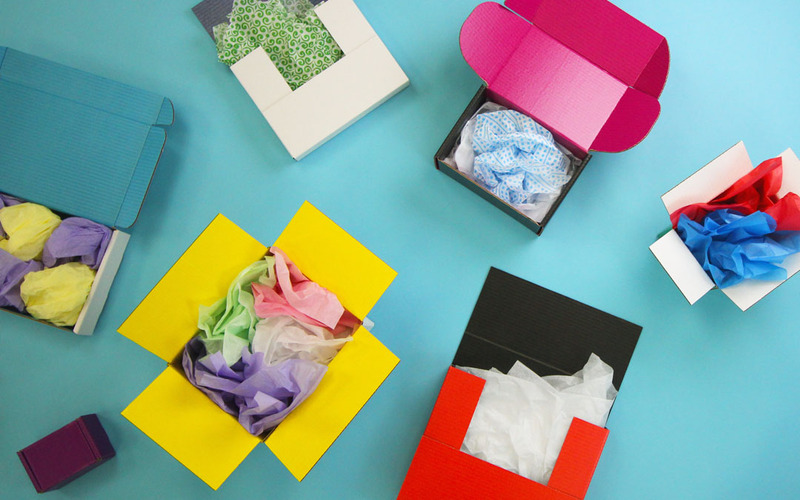 Make a colourful, unexpected statement the second your customer opens the box. They won’t be disappointed. If total presentation is your game, then this guy’s the ultimate winner. Folded around your customer’s order, and secured with a good-looking sticker (try putting your logo on it! ), tissue paper adds both excitement and class to a shipment. It’s like opening a present on Christmas morning—except this time it’s one a customer bought for themselves. 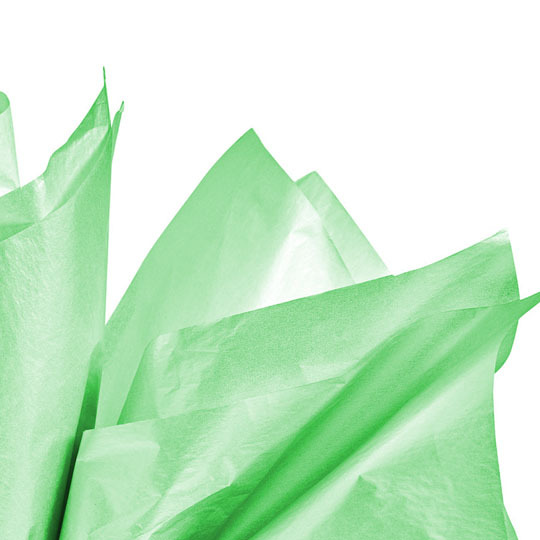 You’ll never go wrong using white tissue, but try using your brand’s colours or even printing it with your logo. That’s an unboxing experience that you just can’t lose! Pack up smaller items, add some flash, or just encourage your customers to dive hands-first into a box full of crinkle paper. Use colours that represent your branding, match the products your customer ordered, or to celebrate the current season—green for summer grass, red and white mix for Christmas, black and orange mix for Halloween. The possibilities are almost endless. Colourful packaging turns heads and demands to be noticed. There’s no better way to stake your claim as a brand with verve. What’s your favourite packaging choice when it comes to adding colour? We’d love to hear how you dial up your brand’s look and personality!